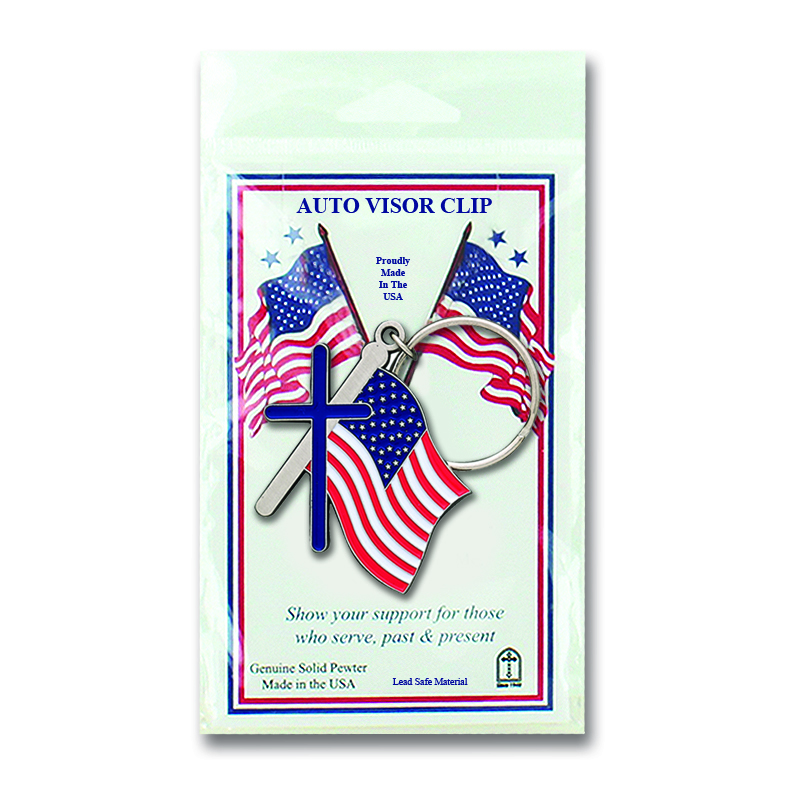 item description: 1 3/4 In. 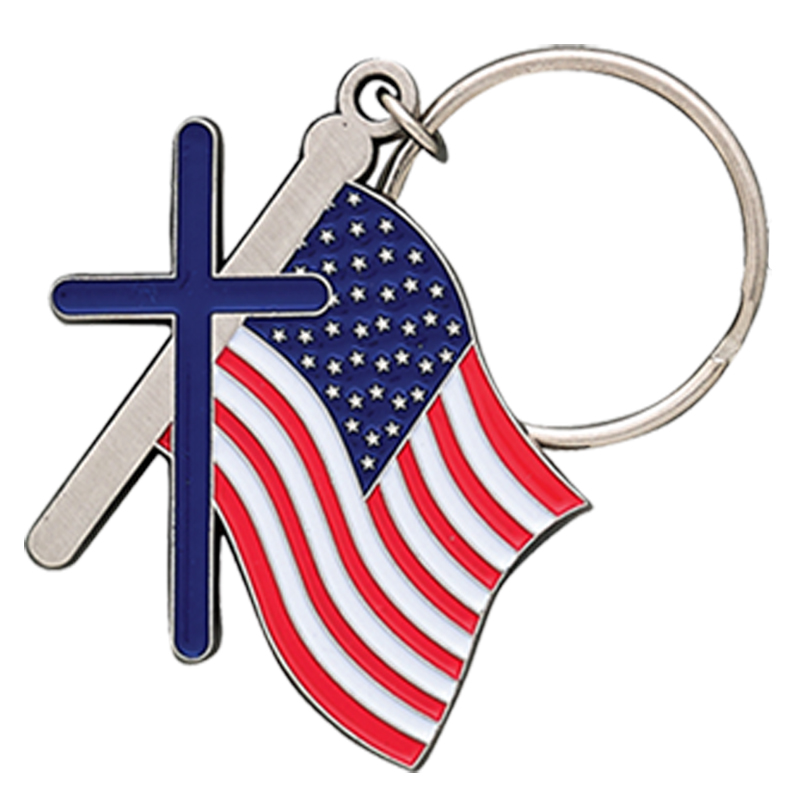 Fine Pewter American Flag Cross Keychain. Packaged on carded holder.